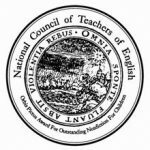 NCTE, through the Committee on the Orbis Pictus Award for Outstanding Nonfiction for Children, has established an annual award for promoting and recognizing excellence in the writing of nonfiction for children. The name Orbis Pictus, commemorates the work of Johannes Amos Comenius, Orbis Pictus—The World in Pictures (1657), considered to be the first book actually planned for children. Jason Chin reminds his readers that “it’s imagination that makes science and art possible.” Chin’s pen and ink, watercolor, and gouache illustrations, artful placement of cut-outs, marginalia, diagrams, and a climactic gatefold, combined with vivid verbs and crisp text, offers readers an extraordinary glimpse into millions of years of natural history, geology, evolution, and adaptation. Strong science and stunning visuals make Grand Canyon a masterpiece! Authors Jacqueline Briggs Martin and June Jo Lee remix authentic language and engaging text with eye-popping graffiti art by Man One. In this culinary celebration, cooking with love becomes food for the soul. This brilliantly illustrated book highlights an historical event that is not known to many. Chris Barton and Victo Ngai tell the story of a much needed subterfuge to save British and American naval ships from constant attack..
A timely and moving reminder of one of the principles our country was founded on, framed in vibrant construction paper and ink illustrations. Stitched for warmth and comfort, these vibrant bed coverings eventually found their way from the beds of rural Alabama to the walls of the finest museums in the country.